In on-premises environments, data security is typically a siloed activity, with a company’s security team telling the internal technology groups (server administration, database, networking, and so on) what needs to be protected against intrusion. This approach is absolutely a bad idea for cloud platforms such as Microsoft Azure. Security is everyone’s job and should be one of the key elements of every cloud solution design. It’s vital that everyone involved is aware of the best practices and platform capabilities. Encryption of data at rest protects stored information from unwanted access. For example, at-rest encryption could protect the contents of your hard drive if it were lost or stolen. 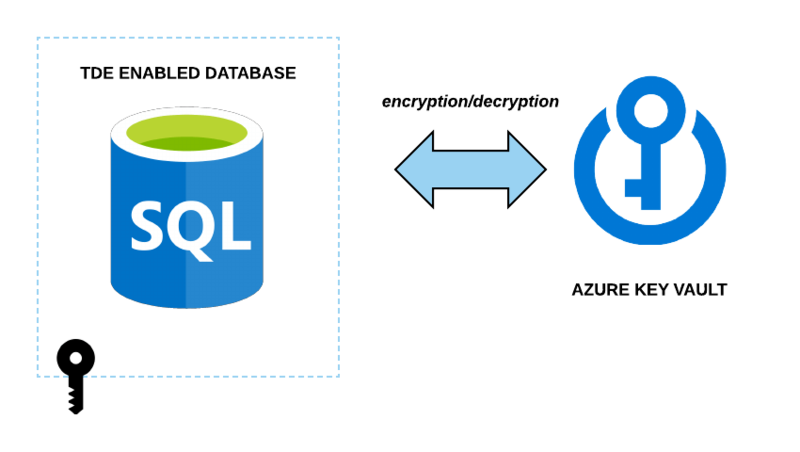 By default, data written to Azure Blob storage is encrypted when placed on disk and decrypted when accessed using Azure Storage Service Encryption, Azure Key Vault, and Azure Active Directory (which provide secure, centrally managed key management and role-based access control, or RBAC). 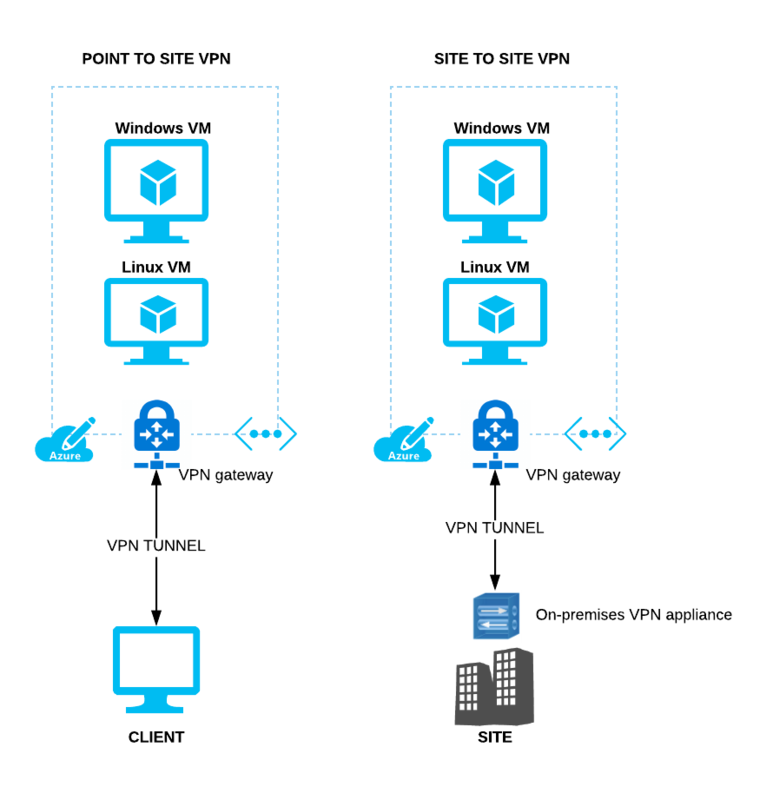 Virtual machines aren’t left out of Azure’s data-at-rest encryption capabilities if you use managed disks (Azure Key Vault managed encryption is enabled by default on managed disks). Check out the managed disk FAQ for more detailed information. – The identity of the communicating parties can be authenticated using public-key cryptography. – The connection is reliable because each message transmitted includes a message integrity check using a message authentication code to prevent undetected loss or alteration of the data during transmission. 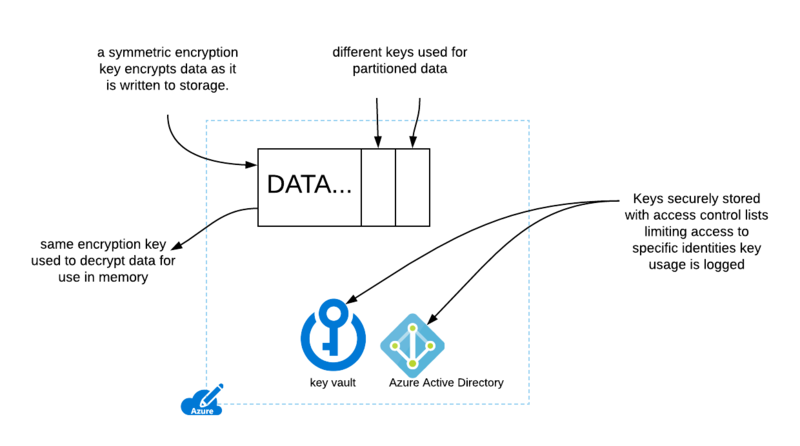 Azure Key Vault provides you with a platform-native, feature-rich toolkit for deploying, storing, and tracking usage of the keys you’ll use to secure the applications you build. 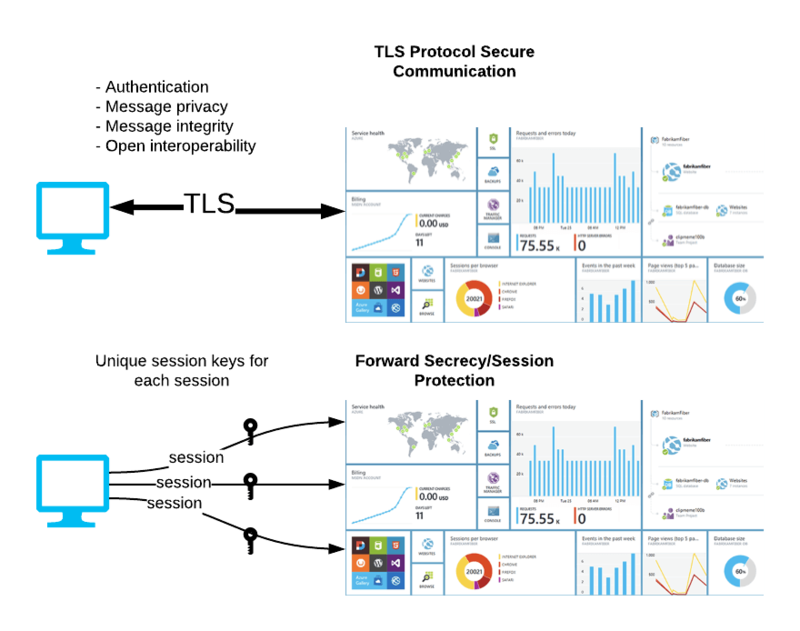 Although experienced enterprise IT organizations moving to Azure may be tempted to build their own systems for key management (duplicating what’s been done on-premises), Key Vault should always be considered first as the preferred solution. 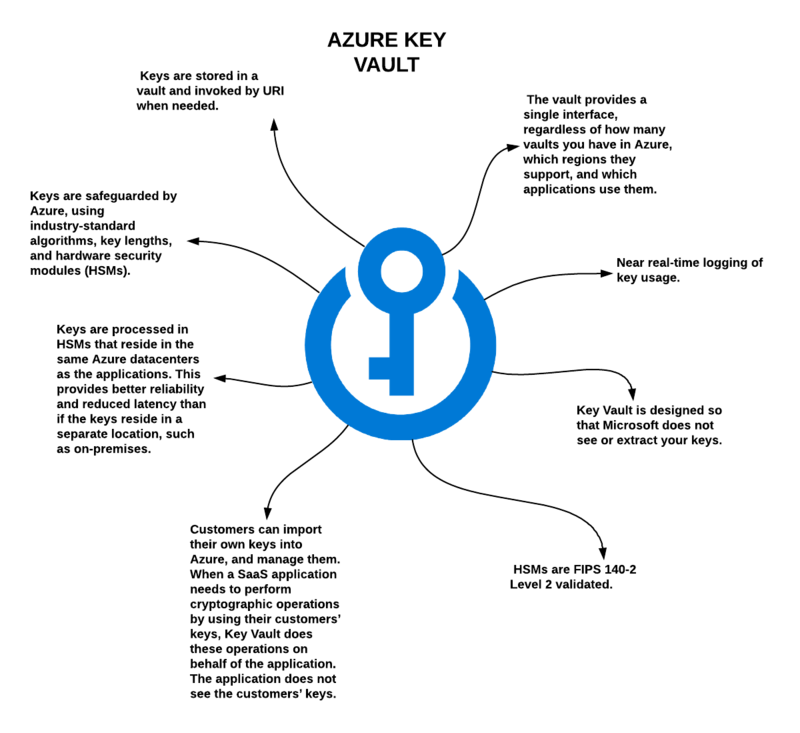 Hands-on Lab: Azure Key Vault and Disk Encryption: Work in the Azure console to use the Azure Key Vault service to store keys and secrets used to encrypt an Azure Virtual Machine. 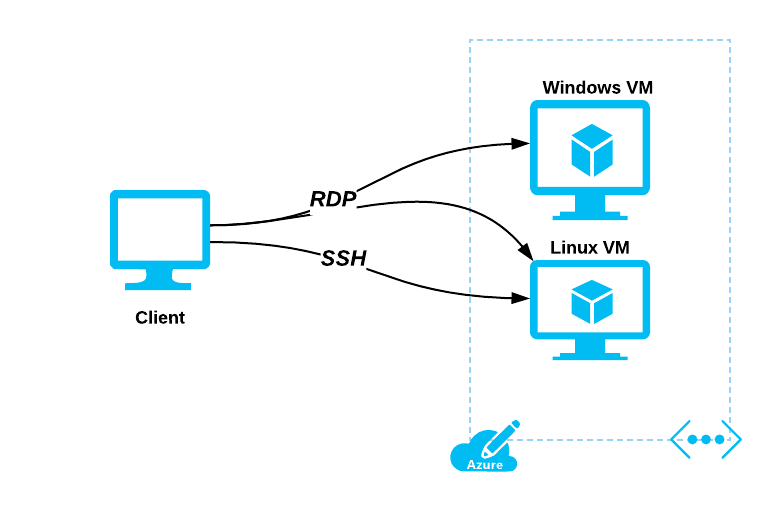 Learning Path: Azure Services for Security Engineers: Apply Key Vault and other Azure security features and services to enable strong security practices and to protect and secure your own cloud applications. Happy learning and good luck on your cloud journey!